Last night a friend gave me a ride home, apologizing for the glass milk bottles occupying floor space in the back seat. The bottles were from Twin Brook Creamery, a local dairy in Lynden perhaps better known as that brand in glass bottles carried by QFC. If you've never had their milk, Twin Brook does not homogenize, which means (at least in the whole milk variety I bought) the cream rises to the top. It's luscious. My friend, who hails from a small farming town in Indiana, said, "It's the only milk that tastes like what I had growing up." 1. Our family goes through four gallons of milk per week. That would be a lot of glass bottles and a lot of moolah. 2. The glass bottles have to be returned (duh) to receive your deposit back, and I am deeply glass-bottle-returning-challenged. For supporting evidence of Point #2, consider these bottles that have become permanent fixtures in our garage over the past several years. They're not even Twin Brook. I have no idea where they came from. Whole Foods? recently published results from several mother and child cohort studies link... organic milk, dairy product and vegetable consumption to a reduced risk of certain diseases. 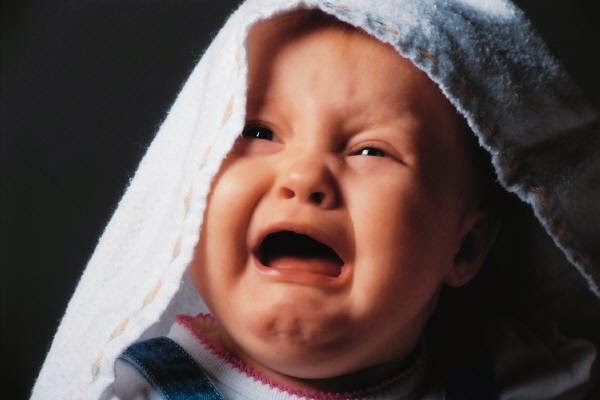 This included reduced risks of eczema and hypospadias in babies and pre-eclampsia in mothers. According to their website, Twin Brook Creamery pastures its herd in the summer and then feeds them during the winter on grass they put by. It's pastured dairy, all right, and organic in all but name. So I'm thinking that, even though we can't afford four gallons per week of the stuff (and those bottles would multiply in our garage like the treasure in Bellatrix Lestrange's Gringotts vault), maybe I might switch our half-and-half and whipping cream to Twin Brook. Those only need replenishing every few weeks, and--heck--the bottles are only half as big! Let the weeping and gnashing of teeth begin! Not only are the mornings dark and the evenings dark, and not only have we started to consider an overcast day "good weather," and not only have we sighed to see summer's soft-fruit bounty giving way to the apples and pears of fall, but the Thursday Bellevue Farmers Market is in its last week. This is the time to take a look at the "Thursday-only" farmers and vendors on the website, so you can either stock up or sign up or cut special deals with them when you visit the Market for their curtain call. Are you signed up for Skagit River Ranch's Buyers Club? Do you have enough Soulever Chocolates and Melt mac and cheese and House of the Sun kale chips to hold you? 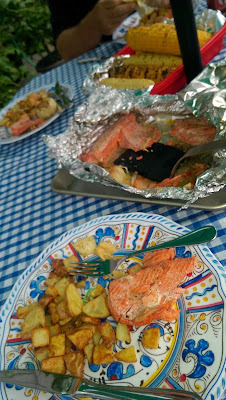 How's your salmon supply? Your hazelnuts? Your toffee? Your hum bao reserves? Got Soup? As a Thursday swan song, I have two awesomely delicious recipes to help you capitalize on what you'll find this week (fingers crossed): End-of-the-Season Kitchen-Sink Sauté and Yu Choi with Oyster Sauce. 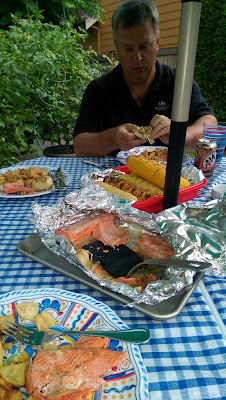 Cut corn off cobs and set aside. Fry bacon on low or med-low heat until to desired doneness. Remove and drain on paper towels, than crumble. Leaving the bacon fat in the pan, turn the heat to medium. When the pan is hot, throw in the greens (as much as you like, really), and stir-fry till almost wilted. Throw in the tomato slices and cook until the greens are dark and soft. Remove from heat. Stir in corn, season to taste with salt and pepper, and serve. 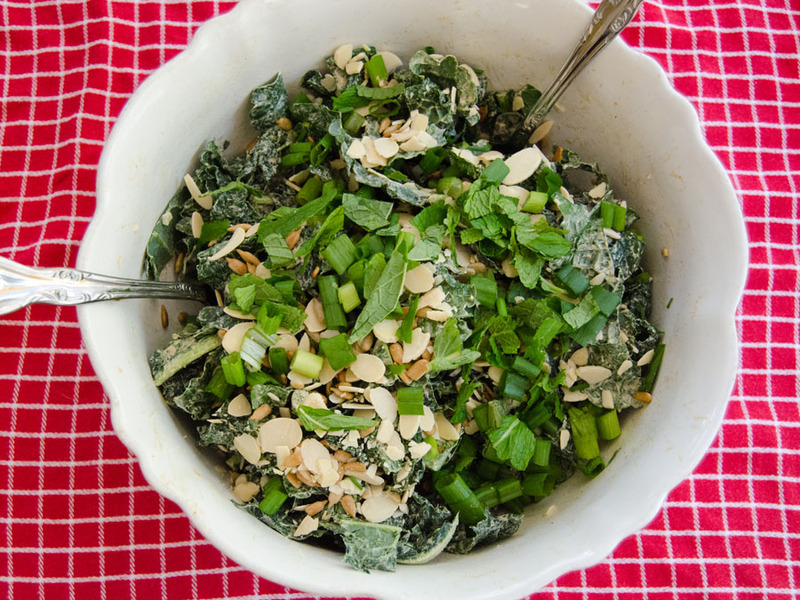 This second recipe came to mind because, at my favorite dim sum place in the Bay Area, we always order these greens alongside the other goodies, as a sop to the nutrition gods. When I found yu choy at Blia's stand, I immediate drooled to think of recreating this at home. 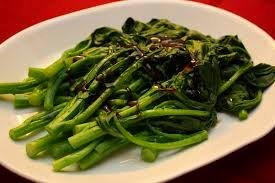 Usually the greens and stems are stir-fried, and then drizzled with oyster sauce, but Blia's helper guy remarked that his mom usually just boiled them. Done. Bring a large pot of water to a boil and put in ALL the yu choy. There's a lot, so you probably have to keep at it for a while. Simmer for about 5 minutes, or until the stalks are tender. Drain and drizzle with oyster sauce. Kids who like broccoli usually like this dish, and doesn't broccoli get old after a while? Recently a friend had surgery, so I signed up on Meal Train to bring her some food. Unfortunately, I had no idea what I would be bringing, so I had to enter "No Idea Yet!" as the mouth-watering name of my entree. "No Idea Yet!" sandwiched between Chicken Enchiladas and Spinach Lasagna! Which meal would you be excited about? All I knew was that, if you need to make multiple meals, a whole chicken is the best way to do it. One meal for us, and plenty of leftover cooked chicken to go into...No Idea Yet! The Beginnings of No Idea Yet! When it was done, I'd at least thought up what my own family would eat that very night, based on what was in the fridge and pantry: Chicken Soft Tacos. First I sauteed up some Walla Walla onion slices. I added shredded chicken and about 3/4 cup canned salsa and let the liquid simmer away. How's that for an appetizing picture? They came out thick and more flat and tostada-like, but no one seemed to mind. Then I chopped up ripe tomatoes and some Napa cabbage (because I forgot to buy lettuce at the Market), shredded some Cheddar, and voila! Chicken Soft Tacos/Tostadas! Tacodas? Tostacos? Whatever you want too call them, they were nothing short of heavenly, and we scarfed them down with beans and some homemade pico de gallo. One meal down, one to go. I'm thinking of taking that leftover chicken and making a chicken pot pie. You know: chicken and little cut-up cooked vegetables in a thickened chicken-stock sauce, covered with a crust. It's possible her kids won't eat it, but I know she'll appreciate it, and--heck--the kids didn't just have surgery, so they can fend for themselves and have a bowl of cereal. Too bad I'm delivering the meal tomorrow. Otherwise I'd be tempted to throw in some chocolates from Soulever. 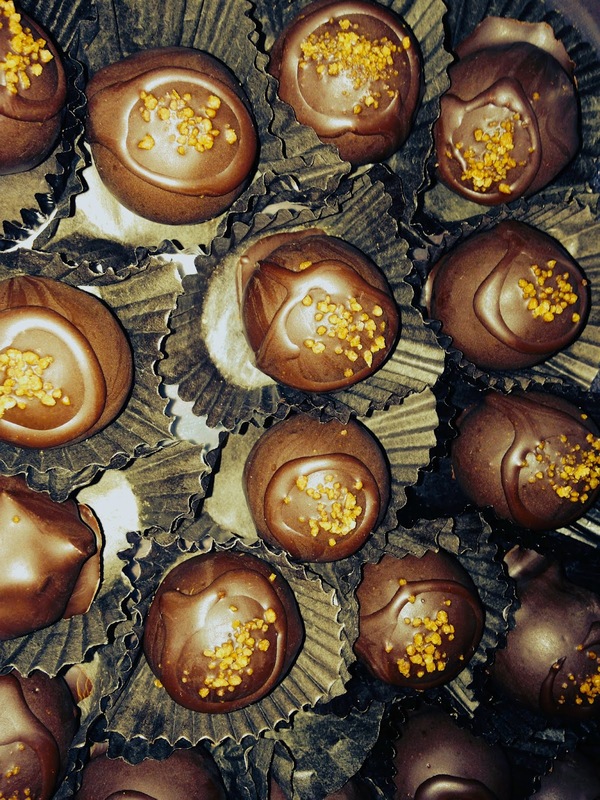 Proprietor and chocolate-teer Aimee Morrow keeps sending me pictures of her luscious creations. If you haven't had any, treat yourself this Thursday. 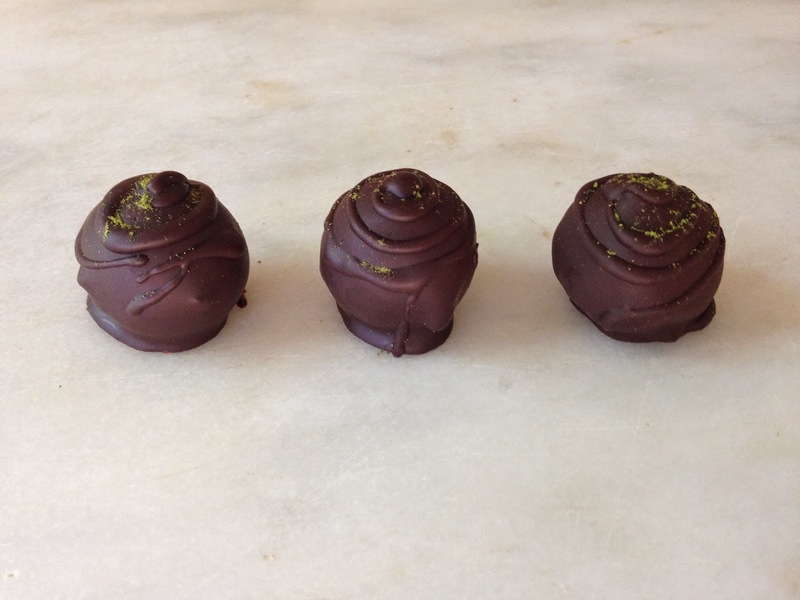 Aimee promises--brace yourself--Vegan Caramels this Thursday, which she describes as "a soft coconut sugar caramel hugged by Peruvian dark chocolate ganache, double dipped in Peruvian dark chocolate." Control yourself, salivary glands! What can I say? With the possibility of such farm-fresh meals and hand-crafted treats out there, it's almost worth a little surgery. 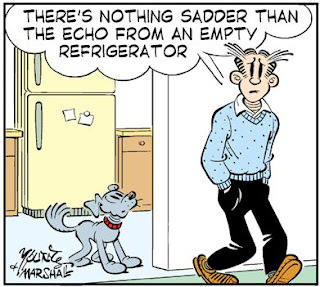 But spare yourself, and get out to the Market while the getting's good. Next week the grind starts up again, but in the meantime, have a great long weekend! 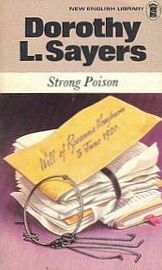 In Dorothy Sayers' mystery novel Strong Poison, a woman is on trial for the murder (by arsenic poisoning) of her lover. Is she guilty or not? Certainly she had some motivation, and she did hand the fellow his cup of coffee. Fortunately, Lord Peter Wimsey has taken an interest in the case and--not to spoil anything--makes some surprising discoveries when he investigates a certain man's hair clippings. The clippings, you see, contain traces of arsenic. Murder will, and does, out, and all ends happily. The chemicals entering our body leave their traces, for good or bad. This is true whether you're a human being or an animal eaten by human beings. Riding the pink-slime, food-additive wave, journalist Nicholas Kristof recently wrote about chemicals found in Big Ag chicken, including antibiotics, acetaminophen, antihistamines, antidepressants, caffeine, and even that old murder-mystery favorite, arsenic. Similar to Lord Peter's analysis of hair clippings, scientists found all the goodies in feather meal, a poultry by-product made from--uh--feathers. Antibiotics we all know about--chickens raised in close quarters, around and next to and on top of each other, tend to get sick more and need a boost fighting off all the germs. But the other chemicals? It turns out the antihistamines, acetaminophen, and antidepressants are given to relieve anxiety. Chickens, like humans, get anxious under stress. The caffeine? Well, that keeps them awake longer so they can eat more and fatten up faster. And the arsenic? Is some chicken being poisoned by a vindictive lover? No--arsenic actually fights infection and makes chicken meat plump and appetizing. Like Airborne and Botox, all in one. Mm, mm arsenic. If I worked as a PR specialist for Big Ag, I would see this as a $$$ opportunity. Dose those chickens up just a bit more, and you could market a Headache-Fighting Chicken (acetaminophen is better known as Tylenol)! Or how about a Cheer-You-Up-Chicken (one pumped with antidepressants)? A caffeinated Five-Hour-Energy Chicken? 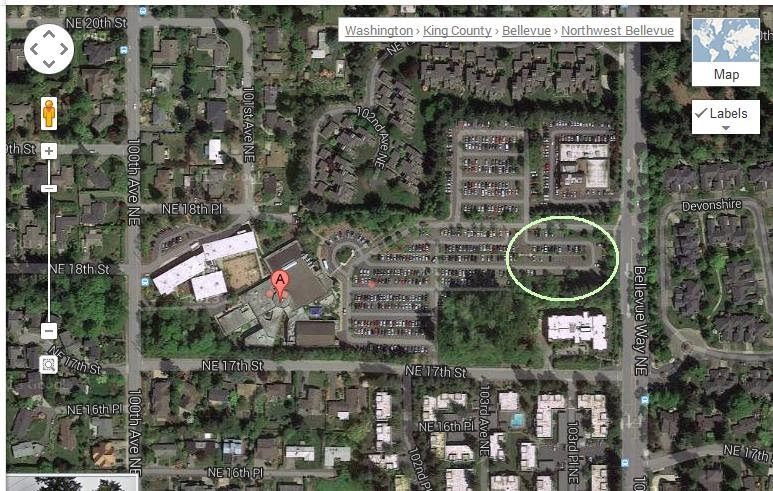 See you Opening Day, Thursday, May 10, 3-7P, in the First Presbyterian Church of Bellevue parking lot! "Can they guess I reheated this from last night?" A couple weeks ago I posted on my Skagit River Ranch turkey and how my goal was to wrangle thirteen meals out of one bird. I'm happy to report that we're through ten meals, and I still have six cups of shredded, cooked meat in the freezer and two quarts of turkey broth. Meals #9 and #10 were actually the same batch of Turkey-Tortilla Soup--the first time around it fed me and my three children, and the second time it was the four of us and another family of a mom and three kids. She supplied the rolls and salad, and we were off to the races again! Skagit raises the same "Broad-Brested White" variety as conventional turkey farmers because of the American fondness for white meat. However, The Vojkoviches' turkeys roam pastures freely during the day and roost at night in a giant, mobile turkey house. "The birds’ diet is a combination of foraged bugs and decaying plant matter (up to 30% of their total diet), native grasses such as clovers, fescue, and rye, and a supplementation of organic grains like camelina (an ancient Egyptian grain high in Omega-3’s) as well as spelt, emmer, and wheat, all milled on the ranch." 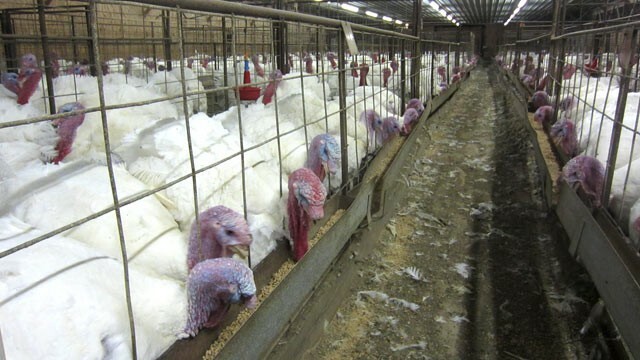 Skagit uses no antibiotics or growth promotants, and their turkeys take six months to reach slaughter size. Compare that to 14 weeks (female) or 18 weeks (toms) in the general industry. If you're thinking of joining me in a Lucky Thirteen challenge next year, be sure to reserve your turkey when the Market opens in May. They do sell out! And speaking of the Market opening, the dates have been set and the countdown officially begun. How easy it is, on a sunny day, to imagine Market season is just around the corner! It's that time again--time for the often ill-fated, sweeping promises to ourselves and time for the late-January guilt that follows on their abandonment. Telling yourself you're going to exercise more (and I am, I am, I am!) may not be sustainable, but a baby step might be more successful. I am going to go for one twenty-minute walk twice a week. Or, I will always take the stairs unless I am late. Unlike exercise resolutions, making a food resolution doesn't involve any membership fees, sweaty handgrips, new Lycra wardrobes, expensive shoes, or fighting over weight machines. In fact, you may find the achievement of one New Year's Food Resolution so painlessly do-able that you add another along about February, and then one more in March. Eating better is incremental. We make one change and never go back, so with each additional adjustment we are further and further along the road to better nutrition and family health. So give one of these suggestions a spin. Bookmark this post so that you can come back and add another in a couple weeks. Or work on your one resolution all 2012 and call it good. Either way you'll be that much better off. Feel free to add a Food Resolution in the comments if I forgot any! Cook one more meal per week. This one saves the gut and the pocketbook. If you already cook every night, pick a different resolution! Cook one more vegetarian meal per week. Black bean burritos. Soup. Pasta Pomodoro. Baked potato bar. Cook one meal per week entirely from leftovers or pantry/refrigerator stores. In our house we call it Smorgasbord of Leftovers or Clean-Out-the-Fridge Night. Take a Knife Skills class. If you're not crazy about cooking, this small investment will increase your confidence. Learn to cut up a chicken. Not only is buying a whole chicken more earth-friendly, but you can satisfy varying desires for light meat and dark meat around your table. Buying Skagit River Ranch chickens is what made me learn. No more bags of Tyson saline-injected, inhumanely-farmed chicken breasts! Learn to make one food that you normally buy processed. Be it Hamburger Helper or canned soup or cake mix. Just one. Once you taste the difference and compare the ingredient lists, you'll hate to go back. Cake mixes, canned biscuits, brownie mixes, and the like all got the boot from my pantry a few years ago, and we haven't looked back. Avoid one genetically-modified food. Most soybeans, non-organic corn, and "canola" is genetically-modified. I'm ditching canola oil this year. Soybeans and non-organic corn were eliminated in past years, insofar as possible. Most chocolate contains soy lecithin as an emulsifier, so 100% elimination is out for us. Fermented and traditionally-processed soy are still okay with us (organic tofu and soy sauce). It's the soybean oil (usually labeled "vegetable oil") and soy protein I stay away from. Replace one fruit/vegetable from the "Dirty Dozen" with one from the "Clean Fifteen." Buying organic fruits and vegetables can be expensive and isn't necessary in all cases. 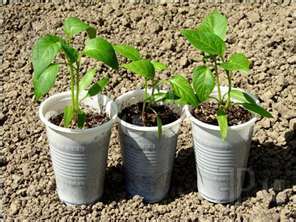 In fact, a family could stay in-budget well by only eating from the less-pesticide-laden options. If you can't bear to give up that one fruit, if it's on the Dirty Dozen list, make the switch to organic. Cut out one non-local, out-of-season fruit or vegetable in favor of something local and/or seasonal. My kids groan, but I don't buy out-of-season berries from California (or even farther away). Those strawberries that are huge as tennis balls and taste about the same? No way. We'll stick with our Washington pears and apples in the off-season, or delve into the Bellevue Farmers Market berries that I froze. Replace one protein source with its wild/grass-fed/humanely-raised equivalent. If your budget can't afford a wholesale switch to wild salmon, pastured beef, or happily-raised chicken or pork, pick the protein that gives you the most heeby-jeebies when you watch the videos. Yes, the good options are pricier. This isn't all bad (see Resolution #2). Happy New Year and good eating! I don't know what it is, but it feels like the Thursday Bellevue Farmers Market season just flew by! Maybe it was that summer took so very long to get here. How can the Thursday Market end when there are still berries to be had?? My last visit demonstrated this produce schizophrenia: I came home with both nectarines (summer) and brussels sprouts (fall), snow peas (spring/summer!) and Asian pears (fall). Totally bizarre. While the grill had to be covered and the patio umbrella taken down, and while the sky outside is grisly and weeping, I've nevertheless planned a last-of-the-Thursday-Market-summer-meal: Skagit River Ranch burgers (probably have to broil them) on homemade buns with sliced homegrown tomatoes, roasted Olsen Farms potatoes, and coleslaw. Speaking of Skagit, I have two reminders for my dear readers: (1) If you want one of their turkeys or hams, order this week! and (2) join their Bellevue Buyers Club if you would like to place orders online and have them delivered monthly during the Market off-season to a centralized location in Bellevue. Stir well. Cover and chill. Serve with thick apple slices which you either slice right beforehand or shake with some lemon or pineapple juice to preserve the color. See you all this Thursday. Last call!